Brandon Turkus February 9, 2017 Comment Now! Despite the crushing popularity of SUVs, small hatchbacks and wagons have seen something of a renaissance in the past few years. 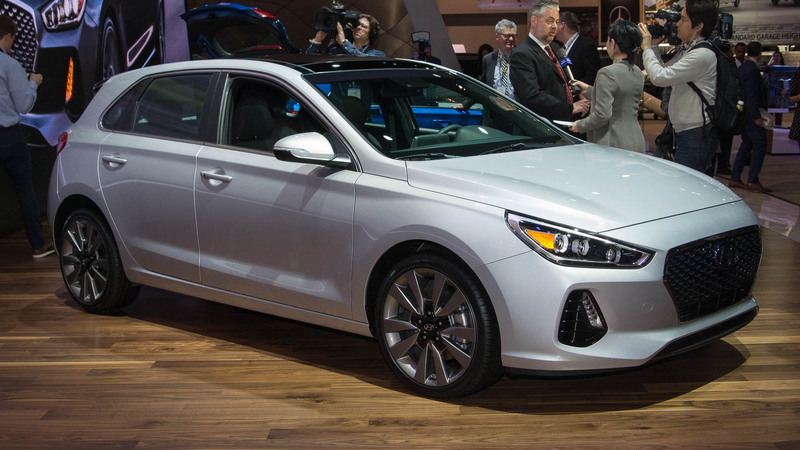 The Honda Civic Hatchback and Chevrolet Cruze Hatchback joined the ranks of the Volkswagen Golf Sportwagen, Ford Focus, Mazda3, and Kia Forte5, offering consumers extra space in a similarly small footprint, and now, Hyundai is updating its entry to this growing segment, with the 2018 Elantra GT, revealed Thursday at the 2017 Chicago auto show. Like some of Hyundai's past hatch and wagon efforts, the latest Elantra GT comes to the United States by way of Europe. Based on the i30, the long-roofed Elantra promises a simply cavernous cargo hold, with 55.1 cubic feet of space with the second row folded. That's an impressive feat when competitive vehicles only hit the mid 40s for cargo volume. Like the latest Elantra sedan, the GT will hit dealers with a more relaxed powertrain, as well as a sportier variant (but alas, no Eco version). In the former category, a 2.0-liter, naturally aspirated inline-4 produces 162 horsepower, or 15 more ponies than the Elantra sedan with the same engine. This seems like a clever play by Hyundai, considering the GT's role as a cargo hauler. 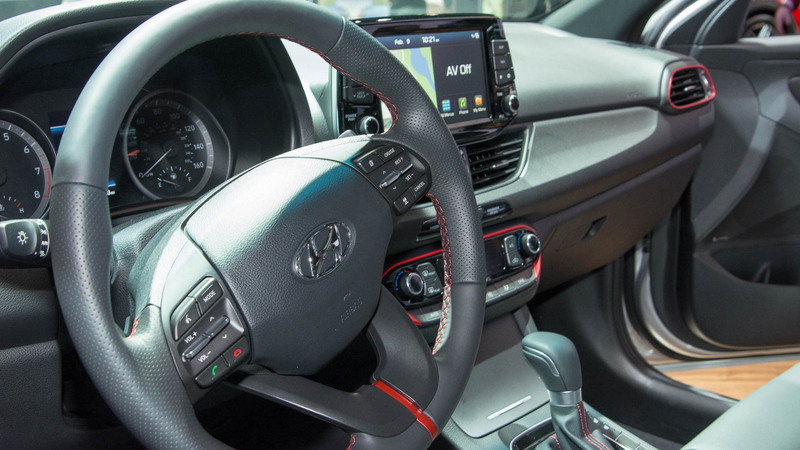 If you need a bit more verve, the GT carries over the Elantra Sport's 1.6-liter, turbocharged inline-4, producing 201 hp and 195 lb-ft of torque. 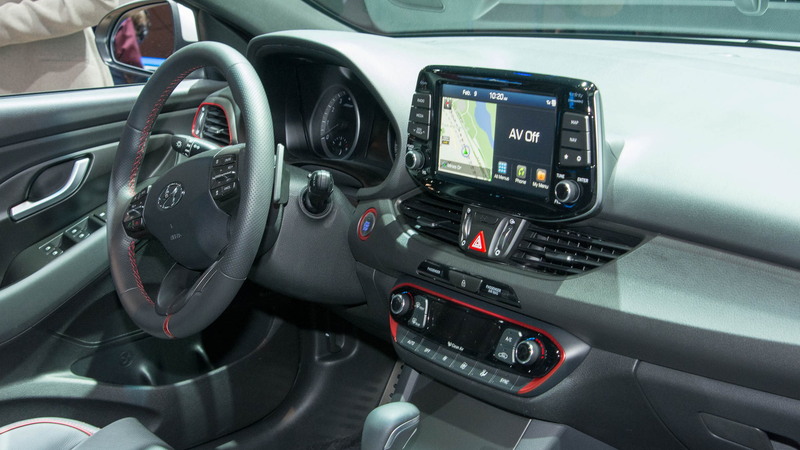 While the standard engine works with either a 6-speed manual or 6-speed automatic, the Sport trim ditches the torque converter for a quicker 7-speed dual-clutch transmission. We expect the GT Sport to broadly match the Elantra Sport sedan's performance. 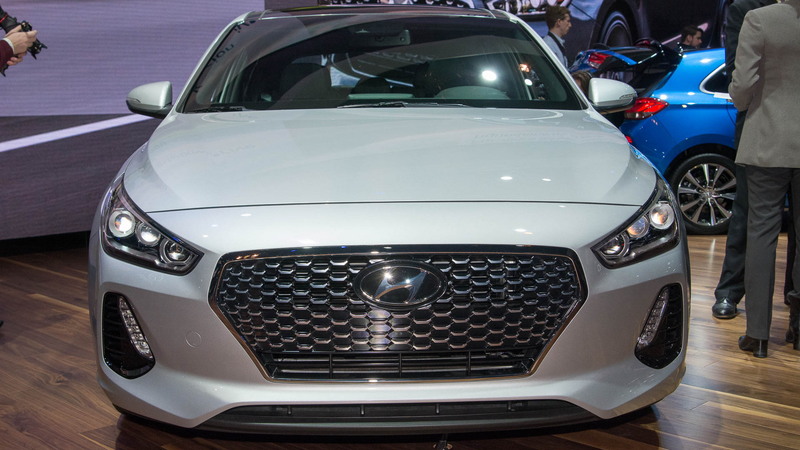 While going for the Elantra GT might make sense from a practical point of view, we'd campaign for it based purely on looks—the new five-door is far more attractive than the already eye-pleasing sedan, with a stylish grille treatment and smaller, more aggressive headlights. It looks good, regardless of whether you're looking at the GT Sport (the gray one in our gallery) or the standard GT (that's the red guy). Hyundai will announce prices, fuel economy, and all that other fun stuff ahead of the 2018 Elantra GT's summer on-sale date. 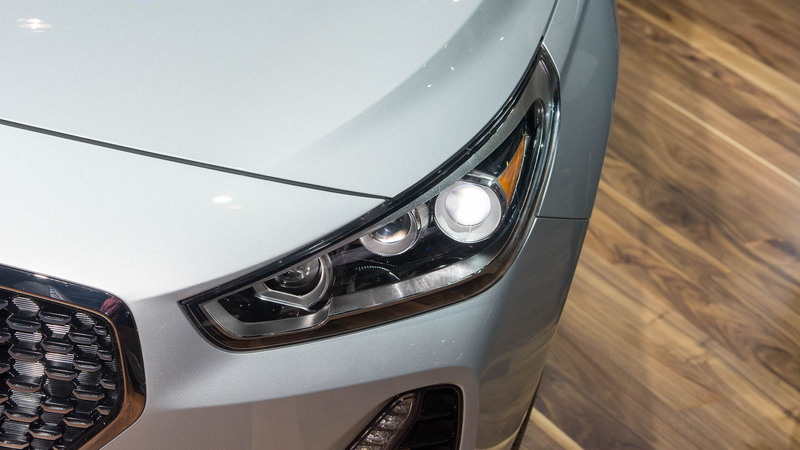 For more from the Chicago auto show, see our dedicated hub.